Please Note: This newsreel was originally dedicated to Terminator: Genisys 2 which is dead but this thread is being revived for details on the new trilogy. The Tim Miller-directed, James Cameron produced Terminator movie will now be known as Terminator: Dark Fate. And by the way, Nov. 1 looks to still be a blood bath with two franchise movies, Paramount/Skydance’s Terminator: Dark Fate and Sony’s Charlie’s Angels fighting for the masses. 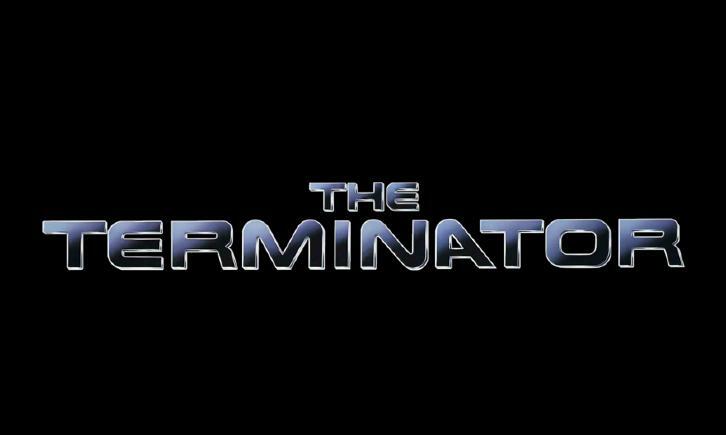 Paramount announcement Tuesday morning that it will now open its untitled Terminator project on Nov. 1 as well, instead of two weeks later on Nov. 15. Natalia Reyes (Lady, La Vendedora de Rosas) and Diego Boneto (Scream Queens) also have been set to star in the film. Diego Boneta, who starred in Scream Queens and Rock of Ages, has nabbed a key role in the revival of the Terminator franchise and is in negotiations to join the production. Linda Hamilton and Arnold Schwarzenegger are returning to the fold while Blade Runner 2049 actress Mackenzie Davis is one of the new additions to the sci-fi action project from Paramount and Skydance. Boneta role isn't clear as details are being kept deep in the Cyberdyne vault but he is said to be playing a human in the reboot that last week saw its release date move from July 26, 2019 to Nov. 22, 2019. The James Cameron produced, Tim Miller directed Terminator will open the Friday before Thanksgiving on Nov. 22, 2019. The feature was originally scheduled to be released on July 26 next year. Mackenzie Davis is in negotiations to join Linda Hamilton and Arnold Schwarzenegger in the latest Terminator movie. Plot details are being kept under wraps, but it is understood that Davis will play a solder-assassin on a mission. It is a human character in a movie that once again sets up the battle between (wo)man and machine. While Davis has a key role in the movie, she may not be the reboot’s true star. The producers have been undergoing an intense, and so far fruitless search to find a Latina for the story’s main role, according to sources. That is a role that would span all three movies of the intended trilogy. It is unclear how many movies Davis’ deal calls for. Paramount announced that the James Cameron produced, Tim Miller-directed Terminator feature will hit screens on July 26, 2019. Skydance Media is a financier on the feature. Cameron is producing along with Skydance. And the new film, which will be distributed by Paramount with Fox handling it internationally, is based on a story crafted by Cameron. Cameron and Miller created a writers room to hammer out what is planned to be a trilogy that can stand as single movies or form an overarching story. David Goyer, whose credits include the Blade and Christopher Nolan’s Batman movies; Charles Eglee, who created Dark Angel with Cameron; and Josh Friedman, who created the Terminator TV spinoff, The Sarah Connor Chronicles, were part of that room. James Cameron has revealed that he is considering relaunching the Terminator franchise and, according to News.com.au, the director may do so with a “three-film arc.” Cameron directed and cowrote both 1984’s original Terminator and 1991’s Terminator 2: Judgement Day. Cameron also said that franchise veteran Arnold Schwarzenegger would be involved in the trilogy “to some extent” but that the plan would be to “pass the baton” to new characters. Paramount Pictures said today it has yanked the sequel known as Terminator 2 from its release schedule. It had been slated for May 19, 2017, but that spot now has been taken by Baywatch. In a report covering Hollywood financers also producing the films they bankroll (as Skydance’s David Ellison did with Genisys), THR briefly addresses the current state of the Terminator franchise. Despite a strong showing overseas – including $112 million in China alone – it is still believed that the film will end up losing money for the studio, and sources say that the series has been put on an indefinite hold. Terminator: Genisys presents a tricky conundrum. Ellison has been especially enthusiastic about Terminator (Skydance paid $20 million for rights) and made the trilogy a priority. But opening over the July 4 holiday, the fifth film in the franchise failed to lure its target demo of younger males. Worse, critics attacked director Alan Taylor's convoluted storyline and the upending of previous Terminator mythology. "There is no question that the market was affected by reviews, which nicked early word of mouth," Paramount vice chair Rob Moore said after its opening weekend. The film has yet to open in China, where it launches Aug. 23, but without a muscular performance there, Genisys might top out at $375 million to $400 million worldwide -- not an outright flop but not enough to quell nerves at Paramount. The studio and Skydance declined to comment on the status of the Terminator sequels or a television spinoff that was announced. But one Paramount source admits the planned follow-ups aren't a given: "We will definitely need to see the holds globally to confirm that people like the film." Complicating matters, Skydance didn't cast any well-known movie stars in Genisys other than Arnold Schwarzenegger, 67, so the sequel probably would need to add a proven draw or rely again on Emilia Clarke, Jason Clarke and Jai Courtney. "If they are going to make another one, something has to change," says MKM Partners analyst Eric Handler. "You either have to make a better film or make it cheaper. They tried to bring in elements of the first film, but it didn't work. It's going to be very difficult. They are going to have to cater to the international market." "Yes, of course, next year", Arnold responded to our question on if he'd also be filming Terminator 6! It's already been reported that two more films are planned to follow Genisys but no one really knew if Arnold would play a role in the future sequels. Now we know Arnold will BE BACK!It's uncertain if Arnold's cyborg T-800(s) get terminated at the end of Genisys but even IF it does, they'll always find a good reason or excuse to bring in an all new model. Remember, several were made on the assembly line. Another possibility is fans have always wanted to see Schwarzenegger come back as a human resistance soldier; a badass soldier who's captured and his DNA harvested for growing a youthful replica, who is then scanned and used to model the 1984 Terminator. There's a lot of options here for an Arnold return to T6. The future is not set and it will really come down to the box office of Genisys. But from what we hear on early script reviews and inside sources from people on post production, we may be looking at a top notch Terminator film. Terminator: Genisys is still 10 months away, but Paramount already has release dates for its two sequels. The studio today slated Terminator 2 for May 19, 2017, and Terminator 3 will follow on June 29, 2018. The first sequel has the date to itself, but it arrives two weeks after one of those Mystery Marvel Movies and a week ahead of Warner Bros’ The Lego Movie 2. Part 3 of the new cyborg showdown will be up against an untitled Fox/DreamWorks Animation/Blue Sky pic and arrives a week before another Marvel flick. The Terminator reboot from Paramount and Skydance is set for a July 1, 2015 bow.